If you have attended one of my seminars or followed this blog over the years it is no secret that I rely heavily on Google Earth to locate places to explore, roads to get there, boondocking campsites nearby and how to access them. 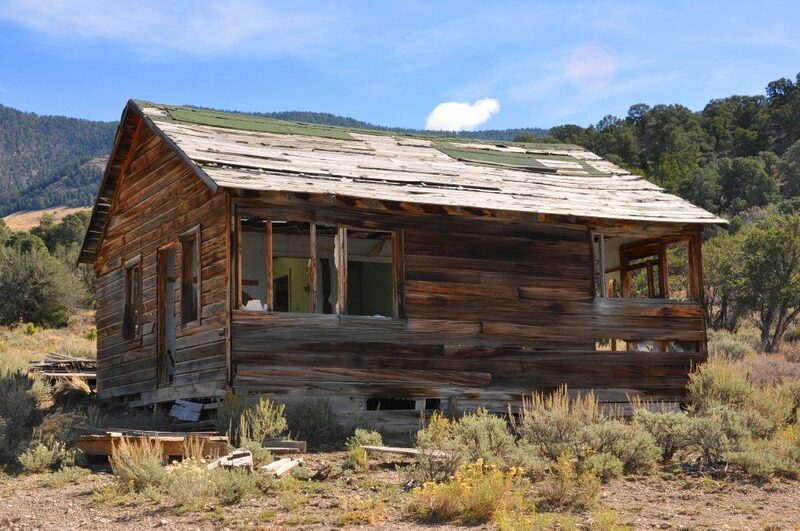 A trip to explore the mining camp of Sprucemont, Nevada was no exception. Looking for a boondocking site in advance (via Google Earth) I found a large camping area along the road to Sprucemont just over 4 miles from the highway. Not being a fan of driving that far down a dirt road with the RV in tow, I kept looking for something closer to the paved highway, eventually locating a site just far enough off the highway to keep the noise down and be shielded from sight compliments of a grove of Juniper trees. 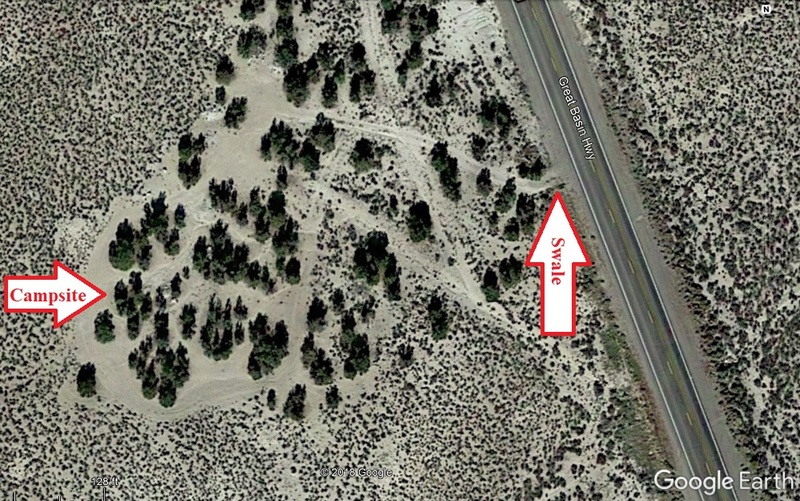 Using both satellite view and street view I was able to determine the elevation of the area was fairly flat and there was not a large gradient keeping me from exiting the highway onto the faint unnamed side road that would deliver us to the campsite. However, as we closed in on the coordinates for the turn we encountered road construction signs notifying us that only one lane of the highway was in use and to wait for the pilot car. I began to worry that the construction zone might continue past our planned turn off and I wouldn’t be able to access our camp spot for the evening. Luckily the construction zone was short and we exited it not far before arriving at our turn off, only to be presented with a new problem courtesy of the construction work. It turns out the construction work was to clean the drainage ditches and re-grade the shoulder of the highway. The swale I had to cross from the highway to the side road no longer looked like the manageable crossing I had previewed on Google Earth street view, but was now a freshly graded ditch with a little straw thrown on it to reduce erosion. After carefully studying the situation and wanting to get off the highway for the day, I decided to go up the road a bit, turn around and approach the ditch in a very diagonal trajectory from the opposite lane of the highway which would (hopefully) keep my travel trailer from dragging too badly. Luckily the plan worked, we enjoyed a very private campsite with a view of the mountains, were able to explore Sprucemont and the old mining structures above the town and didn’t need to summon emergency road service to get us back across the ditch when we left. Navigating the bumps and ditches in the highway of life, just another adventure in RVing! Thanks for sharing Dave! My son and I checkout Mines, Ghost towns and Cabins all over the west and LOVE IT. 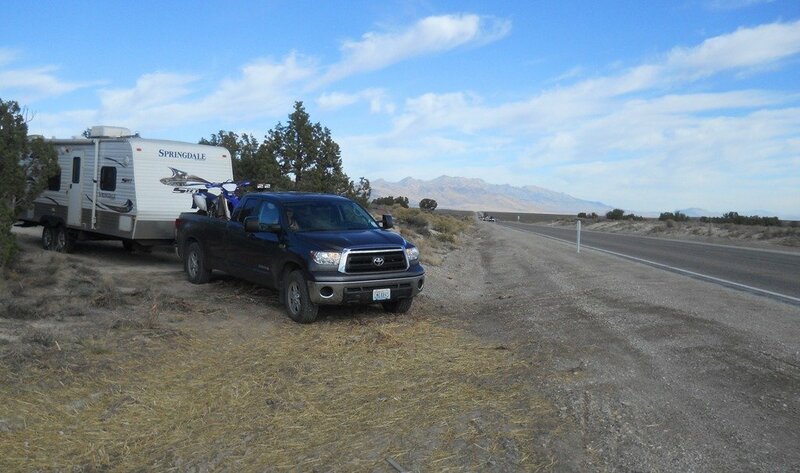 Usually we aren’t dragging a trailer or RV, but rather a 4×4 gets us there. Recently, we’ve talked about base-camping in a RV and running out from there. Love all the insight… keep up the great job and keep safe! Nice article Dave! I would like to CORRECT the post right above mine and say that MY DAD has talked about base-camping from an RV and running out from there. After he walked from Mexico to Oregon he has become a lightweight and wants to sleep in cushy RVs with common amenities such as showers and toilets! Well. Maybe he earned that right. Hersh, Glad you enjoy ghost town and mine camp exploring as much as my wife and I do. An RV makes a great base camp to explore from. My truck is 4×4 and when it gets too rough for the truck we unload the ATV and dirt bike. Thanks for commenting.